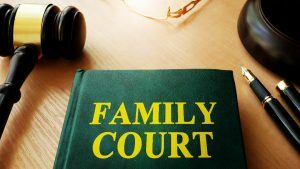 Court proceedings such as care order or removal cases are often a sincere distress for the child in question. Reports have found that shortcomings as for example intimidating settings, lack of age appropriate information and lack of child involvement are recurring challenges in these proceedings. The results indicate that there is a considerable room for improvement of both structure and practice of court proceedings. – At a minimum, child responsive courts include thoughtful architecture, well trained staff, therapeutic support and ample time to prepare children before, during and after the hearings, professor Marit Skivenes states. The findings also show considerable differences between England, Finland, Norway and the US (California), as well as within systems. Skivenes and her co-authors notes that such variations may challenge the principle of equal treatment and justice for all. – It does not bode well if children have very different opportunity and support to participate, depending on which court room their case happen to be assigned to. In that sense, training for the judicial decision makers as essential. Article published in International Journal of Children’s Rights.